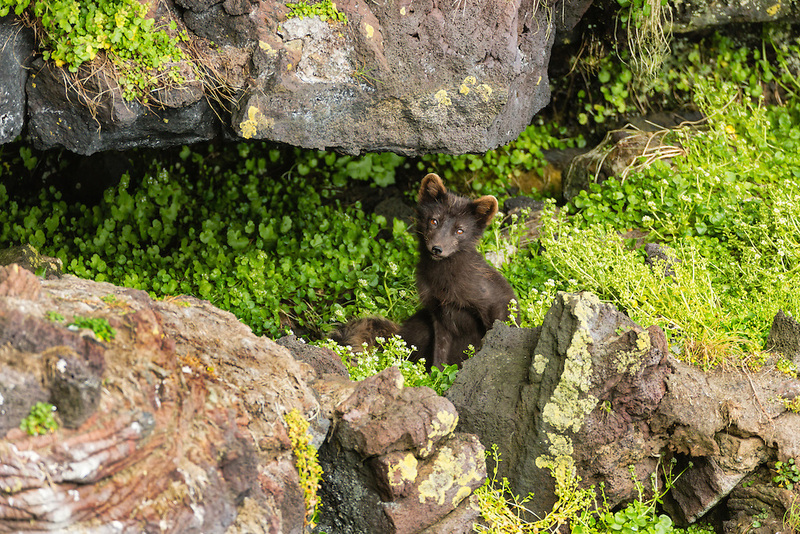 Arctic Fox (Alopex lagopus) hunting for birds among the bluffs on St. Paul Island in Southwest Alaska. Summer. Evening.